As a food allergy dad and expert chocolatier, Simon Lester is the candy man who can. 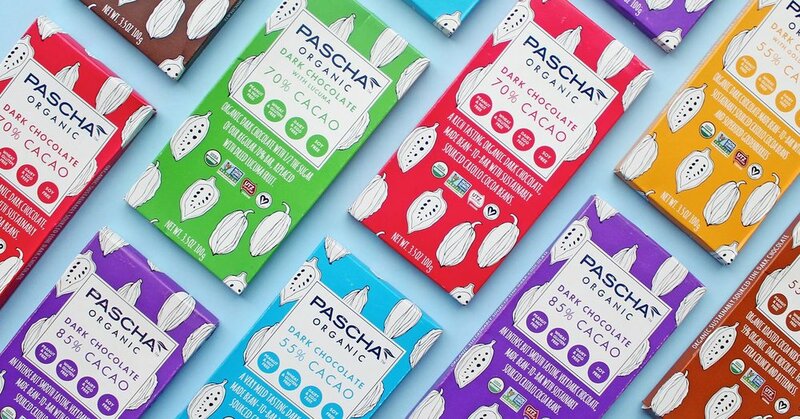 Simon founded PASCHA Chocolate to break the mold of allergen free chocolate, creating an unprecedented 'bean to bar' process that turns beans into rich, allergy-friendly chocolate in a matter of days. We sat down with Simon to get the lowdown on how PASCHA is made and why it so sweet for food allergies. How are you uniquely qualified to have a food allergy chocolate company? I spent the early days of my career working for Cadbury's, but it wasn’t until my younger daughter was diagnosed with a severe food allergy that I began to look at the chocolate industry through a different lens. My wife, eldest daughter, and I have food intolerances, which are inconvenient but not life threatening. My younger daughter’s severe allergic reaction to airborne shellfish is what made us see how the food industry is a scary place for those with a food allergy of any kind. I knew from my experience at Cadbury that a typical chocolate manufacturing facility is very difficult to fully clean and prevent allergen cross contamination. So I set out to create the cleanest allergen free facility with the purest chocolate. Which allergens is your facility free from? Our Dark Chocolate Bars and Dark Chocolate Chips are made in a facility free from the top 8 allergens in addition to being free from sesame, mustard, and celery. Our Rice Milk Chocolate Chips (dark and white) and Chocolate Fruit Spreads are made on dedicated lines free from the top 8 allergens, as well as sesame, mustard, and celery. There is soy in that facility, lab tests of these chips and bars, do not detect any soy (test measurement limit of 10ppm). Go to the Spokin app for product specific details. For people concerned about seed allergies, do you have any in your facilities? Our dark chocolate bars and chips are free from sunflower, and it is treated as an allergen in that facility. Sunflower lecithin is only present in our facility where Rice Milk Chocolate Chips, Mini Bars and Chocolate spreads are made. This is because rice milk chocolate requires lecithin in order make the chocolate flow properly and set into a bar form. It is used as an ingredient for the Dark Rice Milk Chips (not white rice milk chips) and all three Rice Milk Bars. Our Mini Chocolate Bars and Make Me Smile! Chocolate Fruit Spreads, are made in the facility which contains sunflower. You have created a haven for people with food allergies with your "Bean to Bar" process — what are the benefits of it? “Bean to Bar” is the process we use to ensure we have the cleanest, purest chocolate. Our chocolate doesn't travel around the world as a raw good, which would put it at risk of cross contamination. Latin America has a truly fantastic quality bean, so we put our production facility in the heart of Peru to ensure there was no denigration of the bean and the end product as a result. The cocoa bean is picked and turned into PASCHA chocolate in a matter of days or a few short weeks, instead of what can be months for other chocolate manufacturers. This results in a much fresher product with a deeper, richer taste. More importantly, we have eliminated break points in the process that would normally add risk from an allergen perspective. When you have to fly cocoa beans from the area in which they are grown to manufacturing facilities around the world, there is a larger chance for the bean to experience a quality degradation as well as a potential for cross-contamination. How do "Certified Organic" and "Allergen Free" designations complement each other? We have created this “free from” gold standard at PASCHA. Being certified organic and allergen free helps us be even more transparent and is wonderfully reassuring to the food allergy community. Because of the organic system and accompanying certifications, we have the ability to trace every ingredient back to its origins. This gives us accountability in the supply chain to know that our products are safe which, as a food allergy dad, is my number one priority. We heard you have white chocolate! White chocolate is the holy grail that was most frequently asked for by our customers who were looking for allergy-friendly chocolate. So we launched dairy free, allergy-friendly white chocolate chips and a white chocolate bar! We are the first organic dairy free white chocolate bar on the market. I can tell you, but you can’t tell anyone. How about I tell you this — we have 3 exciting products coming out in the next few months. The first is for kids, the second is for baking, and the third is something wildly different and completely out of the box. Does that answer the question? No. We are hungry to know more. Is it chocolate? Chocolate is and will always be the core of everything we do. We are in the business of making the purest most delicious chocolate that people with food allergies know they can enjoy safely. We will not stray from that focus. When you're not eating chocolate, where are you eating? Cava Restaurant in Toronto, Canada. Magical Spanish tapas. You just keep ordering small dishes and each one is amazing and explores different taste sensations. So much better than making a single main course choice and hoping you chose right. Follow Simon Lester @paschachocceo in the Spokin app! Any international restaurants you love? River Cafe London, UK. Brilliant Italian cooking that focuses on quality of ingredients and simplicity of recipes — letting the true goodness come through. A great and safe way to eat. Best food allergy experience at a restaurant? There is nothing better than walking into a restaurant that just gets food allergies. From the host to the waitstaff and right through to the kitchen — when all systems work together and operate with transparency, the dining experience is safe and enjoyable.